Both Mirzapur and Made In Heaven have led India to emerge as a strong contributor in the OTT landscape. Less is more. This phrase emerges to be true with the subtle yet effective promotional campaign of Amazon's Indian originals 2018's winner Mirzapur and 2019's orbit breaking Made In Heaven. While immense money splash happened on the promotions of Scared Games, marketing ideas of Mirzapur and Made in Heaven have won over the audience with its content. Showcasing two very diverse realities of India, Mirzapur and Made In Heaven has struck a chord with the masses. Touted as desi Narcos, Mirzapur captured the essence of drug lords and the illegal business' carried out by local high powers against the background of the Tripathi family. Regarded as the best Indian web series, Made In Heaven depicts the hard-hitting realities of the society against the narrative of the booming wedding planning business in India. Refraining from adopting on your face marketing tactics, the campaigns of both the originals were short and captured the interest of viewers while building intrigue. With a series of teasers in the form of posters and promos set the tone for the offerings of these digital shows. The intrigue and excitement quotient was peaked further with innovative invites by the makers for the show launches. 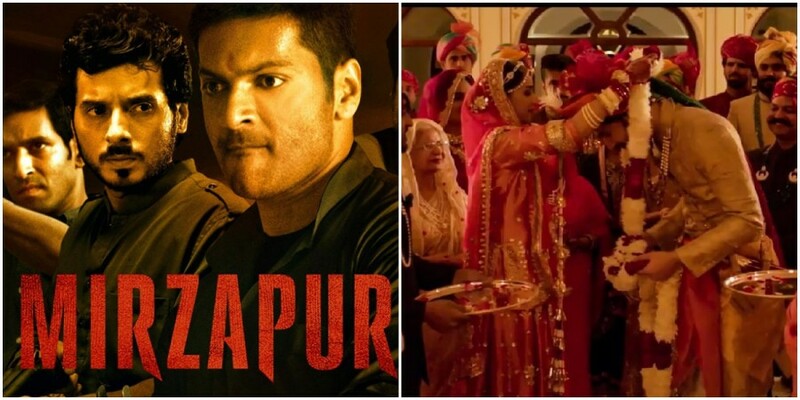 Mirzapur makers invited the press with a desi katta (gun), while Made In Heaven team set a hospitable tone with their wedding theme invite completed with sweets. The superlative ensemble star cast further took to introducing their characters and the trailer giving a sneak peek into the premise of the respective shows over press conferences. Striking a balance between information and visibility, the shows were modestly promoted across platforms with a mix of OOH, print and digital advertising spends. Backing the marketing initiatives was a PR narrative that build urgency to binge watch the shows, promising content to watch out for. Unprecedented buzz was witnessed with both web series breaking out online, taking the OTT landscape by storm. With this, Mirzapur and Made In Heaven not only set a precedent for millennial marketers, but also strengthen India's stance in the global digital narrative.